Sony has confirmed that despite the mountain of cutting-edge technology inside the Sony NGP it won't be in the same price league as the PlayStation 3. 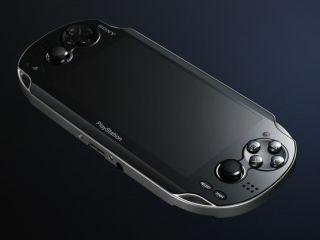 The PlayStation Next Generation Portable (PSP2) was announced yesterday, with Sony revealing that there will be a quad-core processor powering the device, alongside a 5-inch OLED screen, Wi-Fi and 3G connectivity. All of this technology sounds pretty phenomenal but at the same time rather pricey. And when you add in a rather loaded remark at the press conference that it is "as powerful as a PS3," what you get is a lot of journalists coming to the conclusion that it will cost the same as the console. According to Sony's Shuhei Yoshida, who was interviewed by Game Informer, though, it is going to be cheaper than the console, with Yoshida explaining: "It's not going to be $599." While this could mean that it will retail at $598, Andrew House from Sony also remarked that it will be a bit above the Nintendo 3DS's US price $250. There is, of course, one way for the price to come down and that is giving the NGP to telcos to sell it at a discount, while loading it with a monthly 3G price. Whatever the price we will be queuing up to get our hands on with the Sony NGP when its reported UK release date of Christmas 2011 comes around.